It is that time of year again! The bees are out and the buds are starting to burst. Its pollination time and no pollination is successful without a successful partnership. 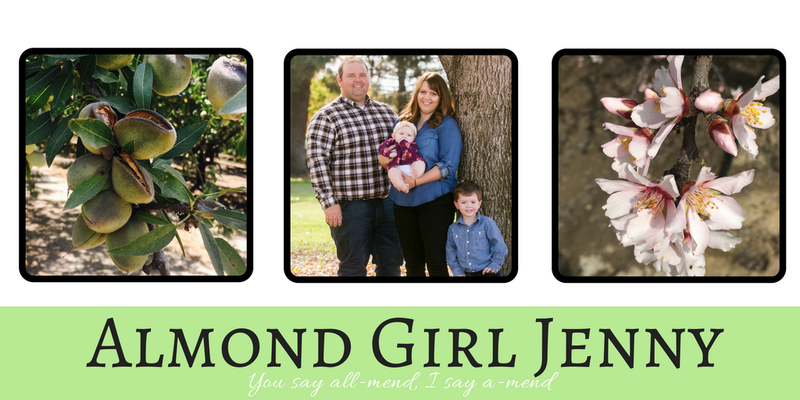 Bees are vital to an almond farmer. Bees move the pollen from one variety of almond to another to pollinate an almond bud and make a nut. 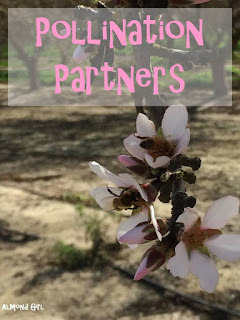 Almonds farmers who want to have a successful and productive pollination must create a partnership with their beekeeper and applicator. This three way partnership will ensure that you are covering all your bases as a farmer and steward to bees. 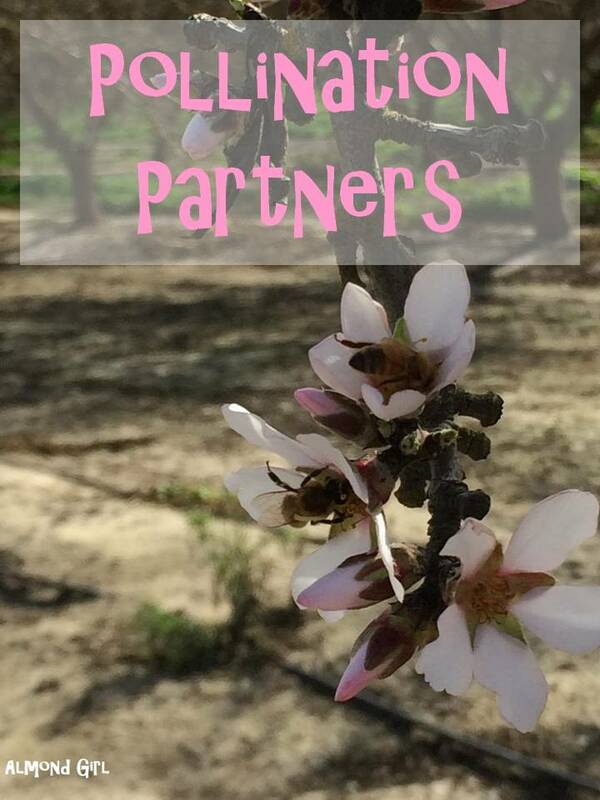 My local Kern County Farm Bureau wanted to ensure that all parties involved in pollination also had the means to create this partnership. 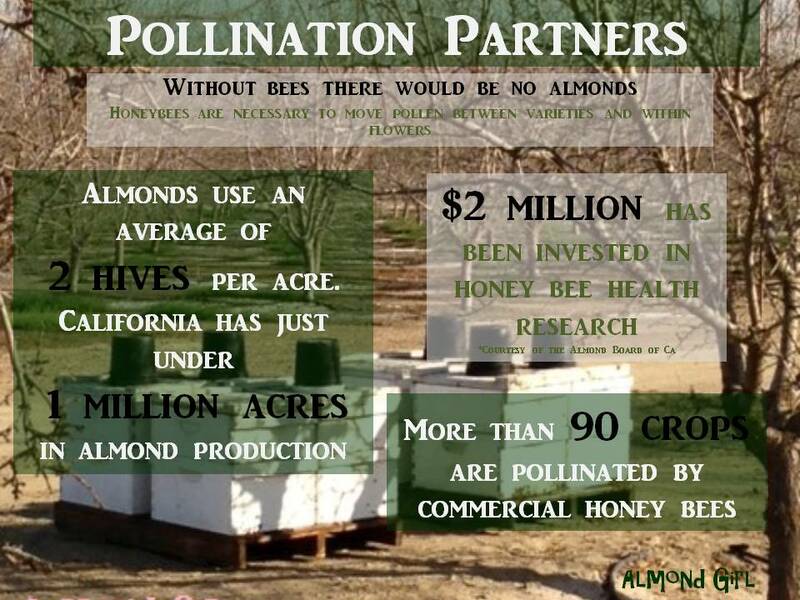 That's why they hosted a bee and almond round table discussion that I was involved in. This was a great opportunity for beekeepers, almond farmers and applicators to sit together and discuss concerns, obstacles and solutions for having a great pollination year. Pollination is a fast time of year and all parties involved are moving quick to accomplish their own goals. Beekeepers are moving in hives late at night and checking on hives regularly. Farmers have many other tasks going on at the same time as well and want to make sure the bees are stay healthy. By working together we can all be successful. Beekeepers want to protect their bees and especially that queen bee from anything that could harm them. Almond farmers want to ensure an even and productive pollination of their crop. Applicators want to protect the crop they are spraying. So by all of us coming together we had the opportunity to figure out how to accomplish all our goals together. The solution seems easy but by creating a partnership with an open line of communication to each other, we will be able to all be successful. 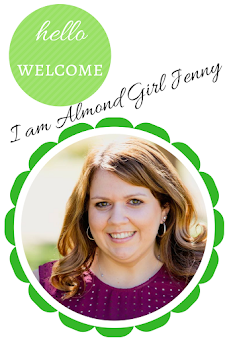 The Almond Board of California has done lots of great research on honey bee health and has even created a great tool for farmer in Best Management Practices for bees to help with the open line of communication. When it comes down to it, almond farmers don't want to do anything that could harm the bees. Bees are coming from all over the nation to California for our one month of pollination. At 2 hives per acre, there are lots of bees moving around California. If we don't have bees, we won't have a crop. And of course if almond farmers don't have almonds, there is nothing for the applicators to spray to protect. Beekeepers enjoy almond bloom as well, almonds are the first natural source of food for bees in the spring. Those bees love almond pollen and generally leave stronger than when they came into our fields. It is in the best interest of all partners to create this partnership and 'bee' stewards for each other!